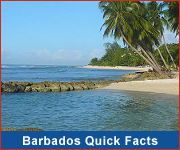 There are many reasons why Barbados is regarded as a prime location for international banking activities. 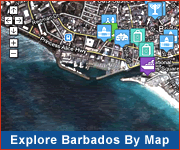 For several years, international banking and financial houses have been drawn to Barbados as a result of its attractive tax incentives, special exemptions, guarantees on future taxation, high quality of professional services and the reputation of Barbados as a reputable Offshore Banking Center. In order to establish an offshore bank in Barbados, details of the proposed bank must first be submitted to the Central Bank of Barbados for approval. Approval must be sought from the Ministry of Finance prior to the incorporation of a company. A company must have a license before engaging in the offshore banking business. Applications for a license are submitted to the Central Bank who may issue the license, subject to the approval of the Minister of Finance. A license to operate is issued only to qualified foreign banks and eligible companies. Licenses are under the overall control and oversight of the Central Bank of Barbados. There is a minimum capital requirement of US $2 million for banks which accept 3rd party deposits and US $500,000 for those which do not. It is required that at least one of the directors be a Barbadian resident and that an annual shareholder meeting be held. The bank's accounting records, minutes and resolutions must be maintained at the local office. Offshore banks are subject to annual audits and license fees. Income tax is applied on a sliding scale of 2.5% - 0.25%. The Offshore Banking Act provides that dividends, royalties, interest, foreign securities funds, gains and assets generated or managed by a licensee are automatically exempt from the provisions of the Exchange Control Act.